I am in the throes of a summer cold. Quite where I’ve picked it up from, I don’t know. But it’s wielded a destructive influence on my weekend plans. All I can say is thank goodness for (1) my fiancé, who has been taking gold standard care of me, (2) books, for providing me with one of the two activities that I can be bothered pursuing in my ill state, and (3) Game of Thrones, for providing the other. Come illness or health, rain or shine, The Book Habit keeps on going. And here is another Monday Musing for your weekly literary inspiration! 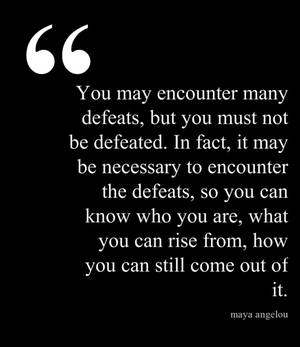 Maya Angelou says the best things.